In this third of a series looking at the wisdom of great investors, we focus on the importance of taking a long-term approach to investing in equities. 2. Holding equity investments for the longer-term generally provides a better return, with lower volatility. Building long-term wealth requires patience, discipline, and an unemotional mindset. When faced with market uncertainty, encourage your clients to reflect on the two concepts listed above. This may help them avoid portfolio changes that could sabotage their ability to reach their financial goals. None of PAN-Tribal, Davis Advisors, Equity Trustees nor any of their related parties, their employees or directors nor any other person guarantees the repayment of capital or the performance of the Fund(s) or any particular return from the Fund(s). No representation or warranty is made concerning the accuracy or reliability of information contained in this document, nor liability accepted to any person who relies on it. Past performance should not be taken as an indicator of future performance and is provided for illustrative purposes only. Shelby M.C. Davis is not associated in any way with PAN-Tribal Asset Management. This document was issued on 30 October 2018. 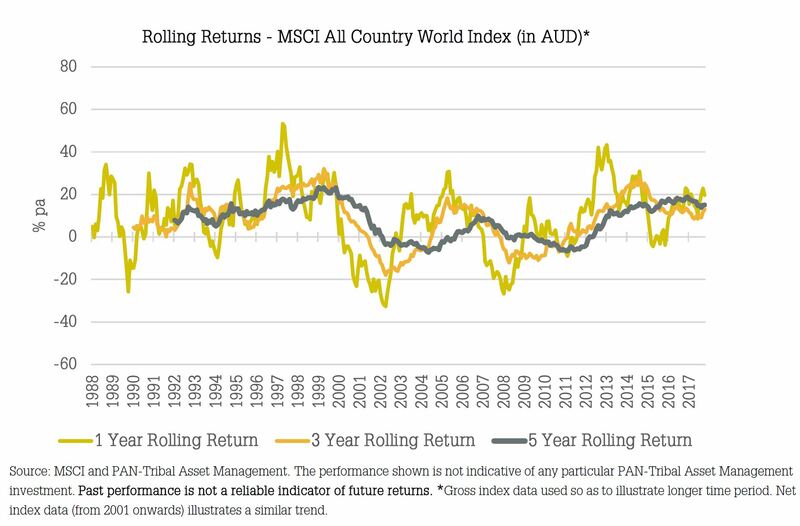 © 2018 PAN-Tribal Asset Management Pty Ltd.